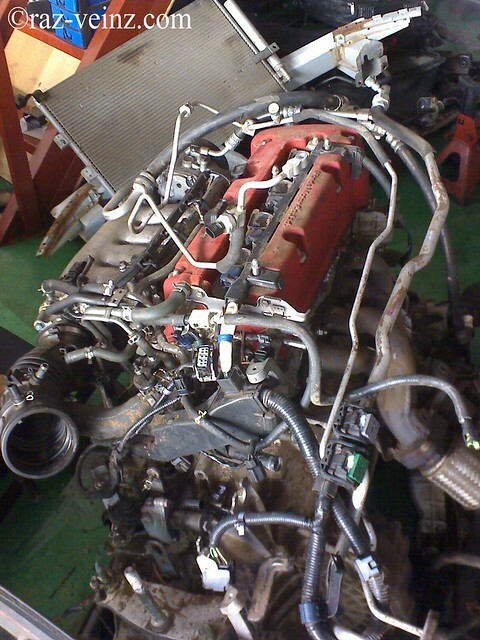 Official Raz Veinz Blogsite » Blog Archive » Why choose JDM (Japanese Domestic Market) Engine? Picture : Take from my friend half-cut workshop. I, personally, love the Japanese racing scene, the regulation, the modification, the philosophy, the tuner, the quality, the JDM racing style! That not the new issue in here, Malaysia, and many racing scene here is influence by JDM style and growing significantly since the 1980s and I love the 90’s era when the car manufacture build the engine without thinking about complicated emission regulation, green technology, hybrid thing, bla bla, all in the mind is, pure performance and racing technology. That why I love my 90’s Civic. But if I got the enough cash, of course I will upgrade to more powerful machine like Honda Civic FD2R ! Some of the JDM stuff is not available in open wide, the technology, the specification, and more importantly, the power, is sometimes reduced because of the stricter emission standards and regulations in other countries. I think this is the other reason why JDM Type R is never going outside! The very strict Shaken and the Japanese culture itself that do not like to get involved in the mechanical repairs make their car in good condition. The very high price for maintenance and to follow the strict regulation to make the car legal for Japanese roads sometime will make the value of the the car down to zero, even the car is still in good condition (definition from our side), so, recycling is more valuable, that the reason, their engine have a low mileage compare the to other countries. That’s why JDM engine and parts is popular among swapping enthusiasts. »Defi’s Water/Oil Temperature and Oil Pressure Gauges Installation and review.